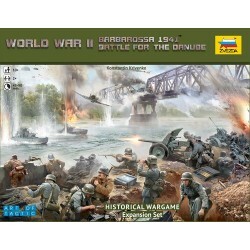 Battle for the Danube est une extension pour Barbarossa 1941, un wargame avec figurines utilisant le system Art of Tactic. 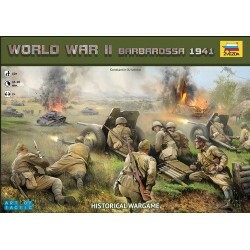 World War II Wargame Expansion Set for Operation Barbarossa 1941, a tactical-level wargame with a unique simultaneous-order mechanic. This expansion includes scenarios for early-war action along the southern Russian front, and includes rules for Romanian and Soviet border guard units. Includes 11 kits (units) from the Art of Tactic range, bases, board game, cards, dice, new scenarios, and rule book. 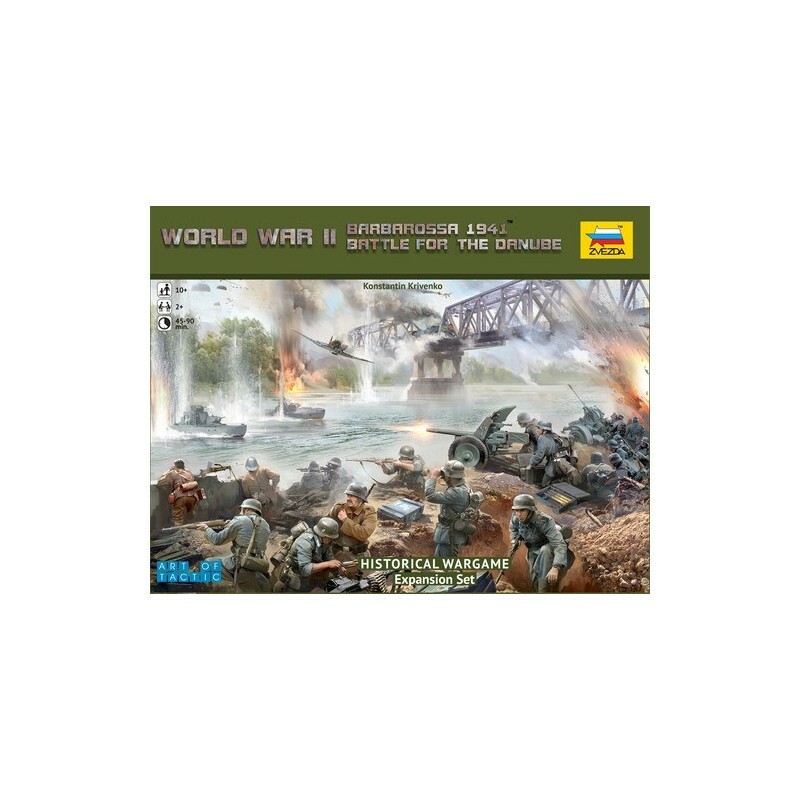 Models in the game are typically 1/72 scale (infantry), 1/100 scale (most vehicles, except the trains and boats in this set), or 1/144 scale (aircraft). Additional available units (not in this kit) now expand operations with the use of paratroopers and transport aircraft as well as new anti-aircraft weaponry and new light and medium tanks. HQ operations now offer new objectives and more control over units. 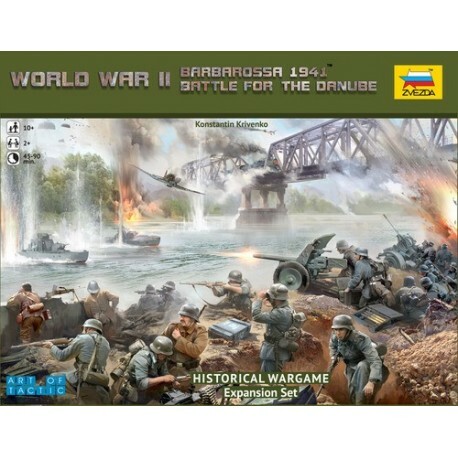 Barbarossa 1941 est un wargame avec figurines utilisant le system Art of Tactic pouvant être joué seul ou avec d'autres jeux utilisant ce système.